Effy Vayena, Ph.D., leads the newly-established Health Ethics and Policy Lab in the Department of Public Health at the EBPI, University of Zurich. Previously, she worked at the World Health Organization (WHO), focusing on ethical and policy issues relating to reproductive health, and assisted reproduction as well as on health research ethics. She remains at consultant to WHO and is visiting faculty at the Harvard Center for Bioethics, Harvard Medical School. Her current research focus is on ethical and policy questions in personalized medicine and digital health. She is particularly interested in the issues of ethical oversight of research uses of big data, ethical uses of big data for global health, as well as the ethics of citizen science. Using the ethics lens in innovative ways, her work aims to provide concrete policy recommendations and frameworks that facilitate the use of new technologies for a better and more just health. Anirvan Ghosh was born in Bloomington, Indiana and grew up in Kanpur, India. He returned to the U.S. to study physics at the California Institute of Technology. He did his graduate work in Neurobiology at Stanford and his postdoctoral work at Harvard Medical School before taking a faculty position at the Johns Hopkins School of Medicine. In 2003, he moved to the University of California, San Diego as the Stephen Kuffler Professor in the Neurobiology Section. Since 2011 Anirvan has been at F. Hoffmann-La Roche in Basel as the Global Head of Neuroscience Discovery. He has a deep interest in the arts and society and has been a supporter of theatre and conservation efforts. He is an Associate Producer of TEST the Rock Opera, and has recently joined the development team of the feature film A Tiger’s Cry as Associate Producer. Anirvan comes from a family of scientists and writers. His grandfather was the eminent Indian writer, Buddhedeva Bose. James Sievert is from Los Angeles. He received a bachelor’s degree in journalism from California State University, Northridge, and then went on to work for several newspapers in California. After completing his Ph.D. in modern European history at the University of California, Santa Cruz, he taught history at an international university in Japan for two years. Since then he has been living in Basel for almost two decades, working as a writer and editor. In addition to writing works of nonfiction, primarily on environmental issues in Italy, he has penned numerous works for theater, which have been produced at venues in both the United States and Europe, including the FEATS festival in Brussels, the Pittsburgh New Works Festival, the Chameleon Theatre Circle in Minneapolis and elsewhere. 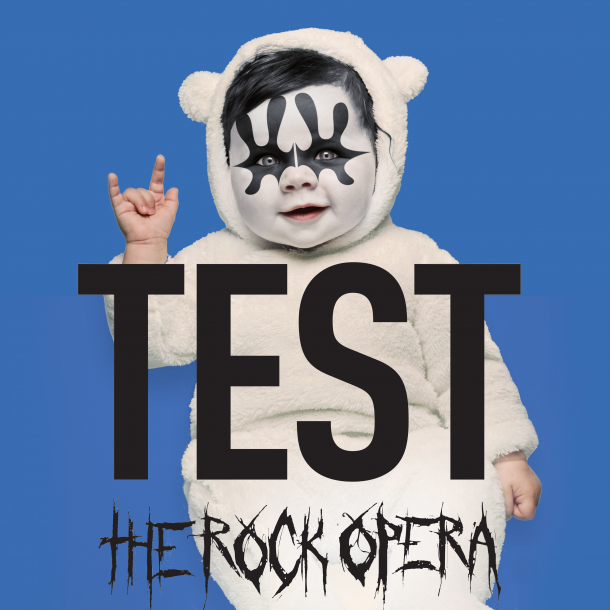 Our evening will also feature thought-provoking musical interludes by cast members of Test – The Rock Opera! which are designed to spark discussion and debate. The technique is revolutionary, and like all revolutions, it's perilous. .....It could at last allow genetics researchers to conjure everything anyone has ever worried they would—designer babies, invasive mutants, species-specific bioweapons, and a dozen other apocalyptic sci-fi tropes. It brings with it all-new rules for the practice of research in the life sciences. But no one knows what the rules are—or who will be the first to break them. On the day before their daughter’s first birthday, the parents of Layla Richards were told that all treatments for her leukaemia had failed and she was going to die. Now she is in remission, thanks to an experimental treatment: gene-editing. Immune cells from another person were modified and then injected into Layla. These cells were made to kill the leukemia cells while allowing complimentary treatment to continue. This remarkable story is just one example of the life-saving possibility of gene-editing technologies. The result is the potential to tackle a huge range of conditions, from sickle-cell anemia to HIV. Many in the field expect a surge in the advance of this technology in the coming years. We certainly hope so.